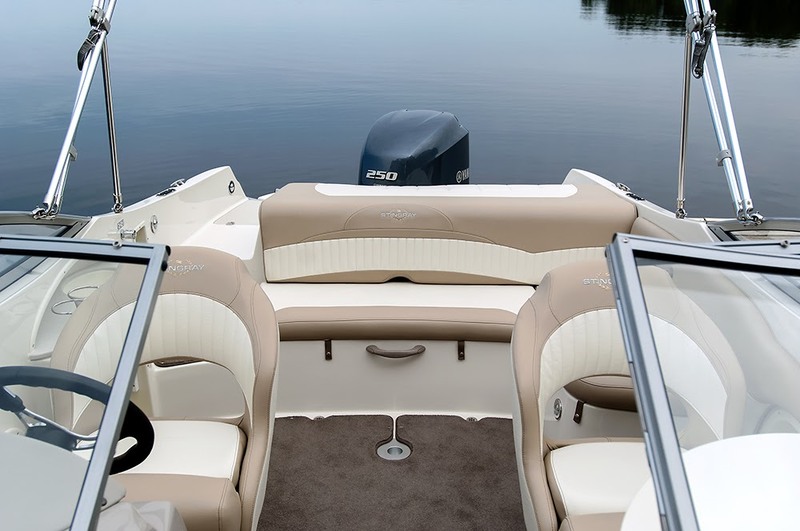 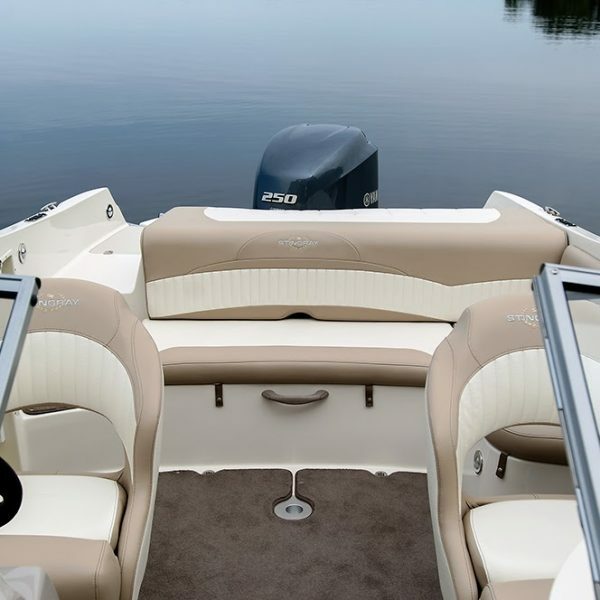 The 234LR offers the versatility and ease of maintenance of outboard propulsion with the same roomy design as its sterndrive brother, the 235LR. 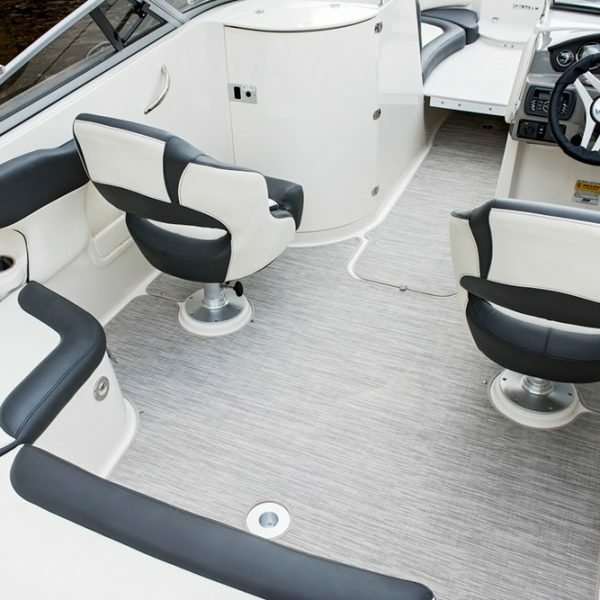 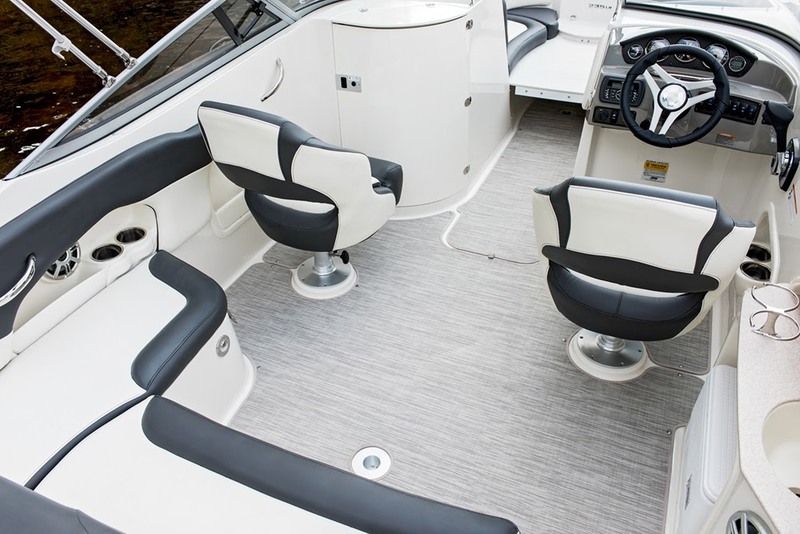 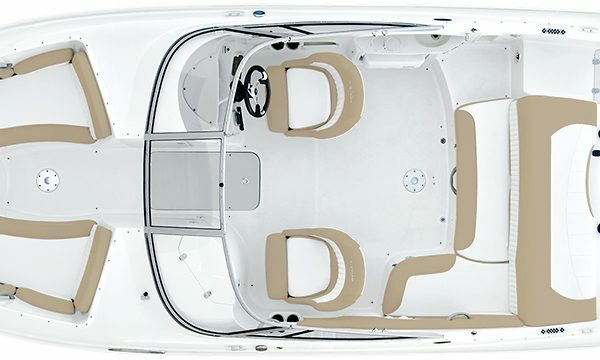 The wide, sport deck design creates plenty of interior space, a convenient side-entry walkway, a large sundeck, and a head compartment large enough to double as a changing room. 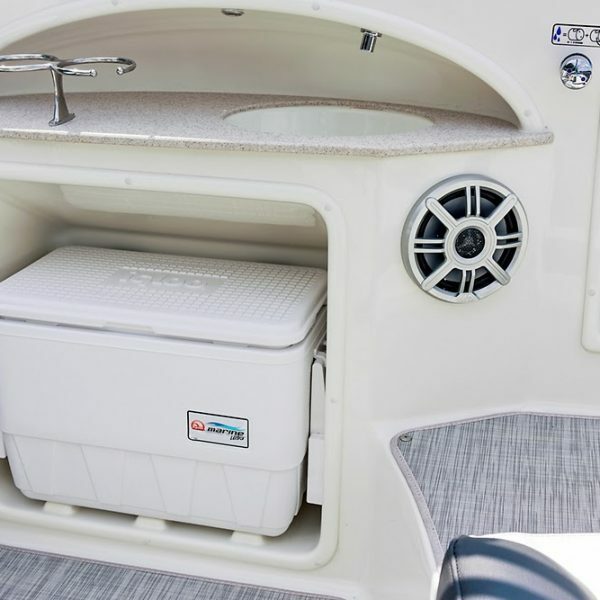 Under the sundeck is lots of storage for your gear. 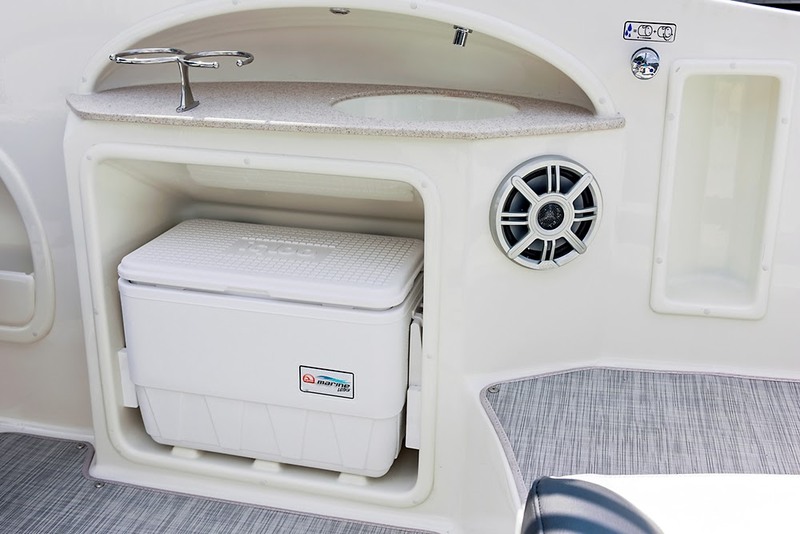 A standard, self-bailing, full fiberglass liner with overboard drains makes for easy cleanup at the end of the day. 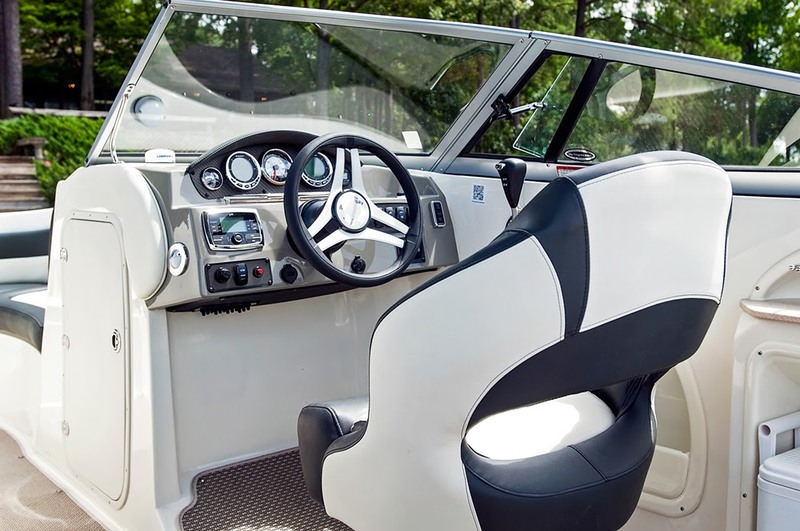 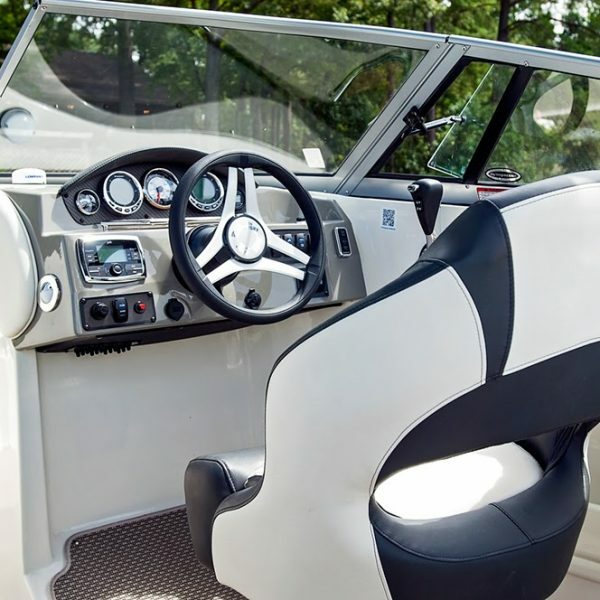 Add the optional custom STINGRAY wakeboard tower, which includes a hull graphic and black gunnel molding, and you’re ready for some action! 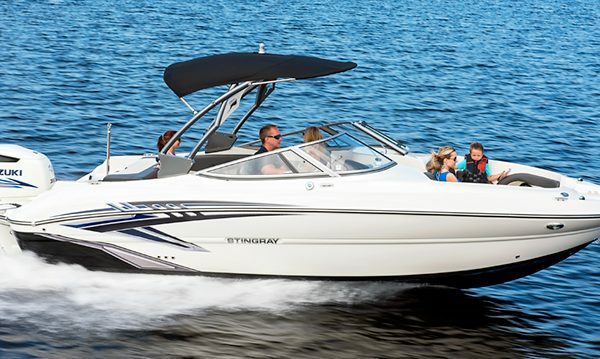 We will see you on the water!